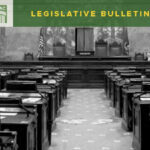 HomeLegislative Bulletin Budget Will MTCA still take care of local programs? Will MTCA still take care of local programs? The Model Toxics Control Accounts (MTCA) remain in desperate financial situation with the capital side of the ledger starting this session $75 million in the negative. That compares to a normal capital budget that projects $185-$290 million dollars available to fund a number of important projects and programs. This is a continuation of the problems from last year that led to discussions about whether limited MTCA revenues should be prioritized for storm water investments or toxic cleanups, both of which are high priorities for local governments. The Governor proposes to fix this problem through a surcharge on the hazardous substances tax that is triggered when the underlying tax is projected to raise less than $160 million in a year. 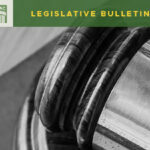 HB 1663 is intended to lessen the dramatic losses in revenues when oil prices fall substantially. Notably the surcharge would not address the dramatic loss of revenues caused by the Legislature and Governor piling more and more programs onto this account as a way to address operating budget challenges. Without either this new revenue, general fund, or bond backfill there will not be enough revenue available to continue critical environmental and economic development investments. 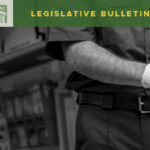 Solid waste managers and environmental health directors have visited with legislators and sent letters emphasizing the importance of this Account for local environmental clean-up projects and programs. Messages described how Community Prevention Grants and Site Hazard Assessments have benefited local communities. When the budgets are unveiled this week, anticipate the need to continue advocacy. 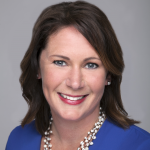 Brynn Brady of Ceiba Consulting is an experienced lobbyist and facilitator with more than 14 years experience building relationships with state and local elected officials, city and county governments and the business and non-profit communities. 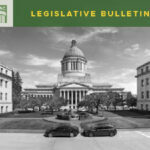 She represents a broad range of clients with interests in public health, health care, transportation, salmon recovery, growth management, the environment and financial institutions.